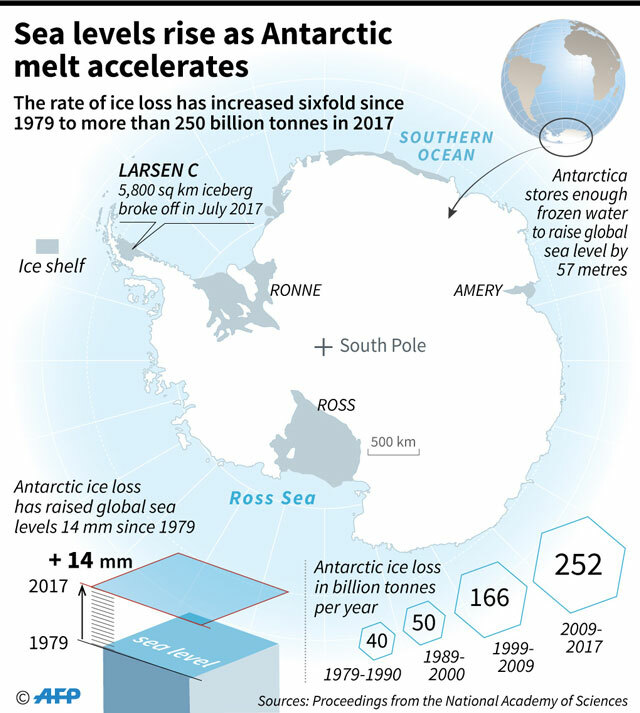 Tampa, United States | AFP | Global warming is melting ice in Antarctica faster than ever before — about six times more per year now than 40 years ago — leading to increasingly high sea levels worldwide, scientists warned on Monday. A rise of 1.8 meters (six feet) by 2100, as some scientists forecast in worst-case scenarios would flood many coastal cities that are home to millions of people around the world, previous research has shown. Warming ocean water will only speed up ice loss in the future, Rignot said.